Young people know what they’re talking about. They must be listened to. akt formed in Manchester in 1989 by Cath Hall, an experienced foster carer, and founder member of Manchester Parents Group (MPG), who had become acutely aware of the rejection and ejection of young LGBT people from their family home and the homophobia they faced within school and society. Cath was an activist during the days of the Campaign for Homosexual Equality and is the original straight ally. 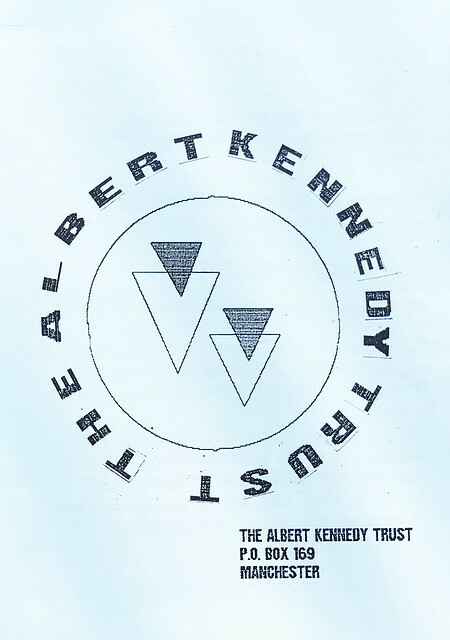 1989 Six LGB volunteers led by straight ally Cath Hall meet at Manchester Town Hall to launch The Albert Kennedy Trust (akt). The world’s first ever service for homeless LGBT youth is born, providing safe homes and support, then later, mentoring. 1995 akt opens in London to meet growing need amongst young people. 1996 akt wins the Stonewall Equality Award. 2012 akt opens Purple Door, the UK’s first emergency safe house for LGBT young people. 2013 akt arrives in the northeast following merger with local project Outpost Housing Project. 2014 akt is 25 and launches a national multi-media campaign to raise awareness of homelessness. 2015 akt supports the development and launch of STREHA, eastern Europe’s first charity offering emergency accommodation to LGBT youth. 2015 akt launches its first No Room For Hate campaign with a series of powerful videos featuring young LGBT people who have been supported by akt. The campaign is still running today. 2017 #aktGoesDigital! We launch our first digital and national service to provide young people with preventative support where and when they need it most. In 2019 we are 30! If you have been involved in akt as a supporter, donor, patron, volunteer or service user, please get in touch. We want your stories, pictures and involvement in our big birthday celebrations! From 2019, we are now referring to ourselves as akt. Why? ‘akt’ is how our young people, supporters and the wider community have come to know us as we’ve grown, and so we’re pleased to own that in our new brand identity. It was important for us that we retained an important link to Albert in our name and were loyal to our history, while making a change that enabled us to talk more broadly about our founders story, particularly Cath Hall. This was based on feedback from our young people. Using the acronym enables us to keep Albert as a part of who we are - which is important - while being able to be associated with more than just one person’s story. You can find out more about our new brand here.